Sarah Nader - snader@shawmedia.com Parishioner Marilyn Mcguire of Crystal Lake receives ashes from Pastor Greg Lucas during Ash Wednesday service at St. Paul's United Church of Christ in Crystal Lake March 1, 2017. Ash Wednesday is the day that Christian mark as the first day of Lent, a time of reflection an penitence leading up to Easter Sunday. 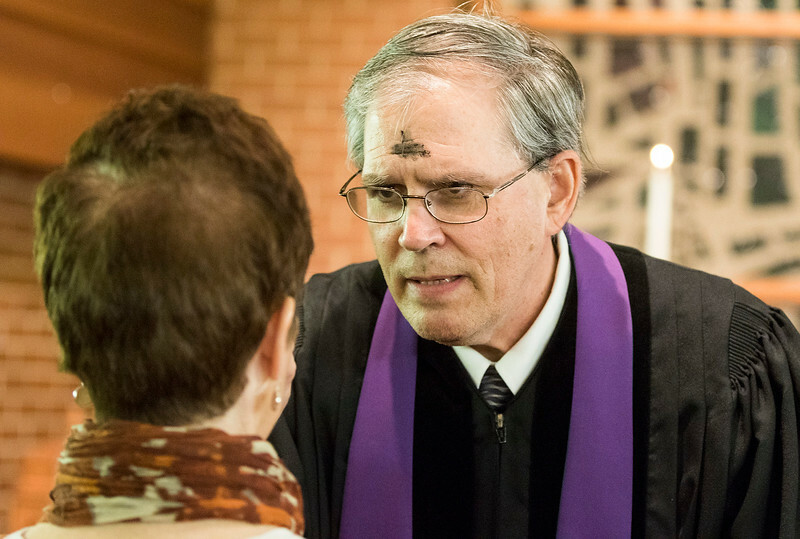 Sarah Nader - snader@shawmedia.com Pastor Greg Lucas dispenses ashes on each parishioner's forehead in the sign of the cross, to remind them that they are mortal and fallible during Ash Wednesday service at St. Paul's United Church of Christ in Crystal Lake March 1, 2017. Ash Wednesday is the day that Christian mark as the first day of Lent, a time of reflection an penitence leading up to Easter Sunday. Pastor Greg Lucas dispenses ashes on each parishioner's forehead in the sign of the cross, to remind them that they are mortal and fallible during Ash Wednesday service at St. Paul's United Church of Christ in Crystal Lake March 1, 2017. Ash Wednesday is the day that Christian mark as the first day of Lent, a time of reflection an penitence leading up to Easter Sunday.